Starting a new business is never simple, yet some elements feel universal to the process. For most startups, you need a location and a stockpile of inventory. You need to hire staff and build a distribution pipeline. But in the age of e-commerce, even those business foundations are often different, if not non-existent. You don’t need an office or staffing anymore. You may not even have to get your hands dirty with product or transportation hassles either. 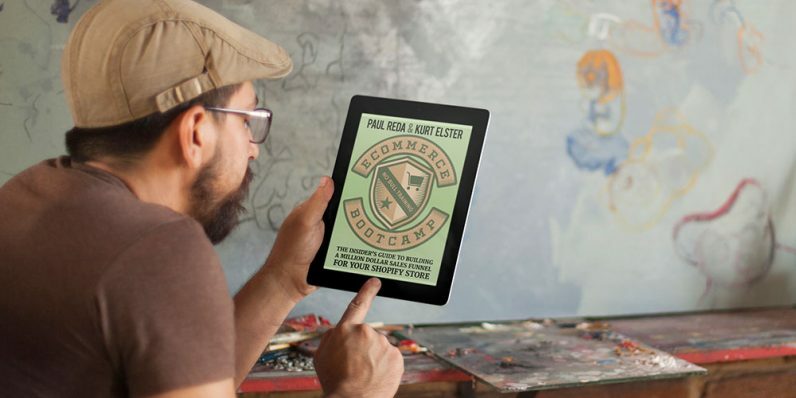 It’s a whole new world — and the E-Commerce Bootcamp can walk you through the entire process. The complete package is available now for just $29, a 75 percent savings, from TNW Deals. The course is taught by major Shopify experts and proponents Paul Reda and Kurt Elster. Shopify is a turn-key portal for setting up an ecommerce business, streamlining the entire process of marketing and selling online. The platform is set up to handle retailers running online businesses in need of critical features, including inventory tracking, customer records and a full-scale marketing plan. Through readings, webinars and even a how-to video series, Paul and Kurt explore how to create a Shopify storefront with a handy setup checklist, how to use standard email templates to create streamlined marketing materials, and how to optimize your business through niche marketing, customer targeting and other growth-based strategies. By the time you’re done, you’ll have all the tools to maximize your audience and get customers moving through your store — and dropping cash — quickly and easily. This A-to-Z ecommerce package usually costs almost $120. You can slash 75 percent off that total if you grab this deal now at the limited-time-only price of $29.